You have the flexibility to choose which specific customized values to then include under a particular Header such as the individual Brand names of the products you offer, or the styles of clothing, as two examples. In addition, AdWords Structured Snippet extensions allow the flexibility of scheduling options which include specific start and end date, day of the week and hours of the day which can be valuable controls. You also have the ability to produce Mobile preferred snippets, if desired. These additional insights into your specific products and services can help increase click-through rates in addition to improving the quality of traffic to your website. It’s important to remember that Ad Extensions typically boost the performance of your Ads, and are also a factor in the overall Ad Rank. While Ad Extensions are not always eligible to show, the more you have implemented, the better each auction is able to select the most effective combinations of extensions to help improve overall performance. 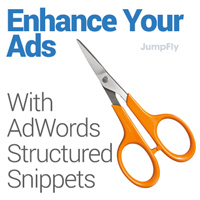 Adding these new Structured Snippet extensions into the mix provides another opportunity to further enhance the impact of Google AdWords Ad Extensions on your account performance. 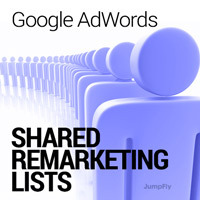 The all mighty remarketing list has had a tremendous impact on conversions and revenue over the years, but what if that list could be expanded to two times, five times or even ten times its size? One solution has always been to have your remarketing code placed on a competitors website, but that always leads to the discussion about the security of placing someone else’s code on a website and usually ends with “it’s just not worth the risk.” But what if you were able to share your list with others and no foreign coding was required? This is achievable with a little help from Google AdWords on the back-end of individual accounts, and just recently made possible without the help of Google on an MCC (My Client Center) account. – Go to the admin tab of your main accounts page and check the accounts you want to share remarketing lists. – Go into each individual account > Account Settings > Account Access and flip the “on” switch for the remarketing list sharing which should now appear under the users with account access section. – Go back to the main account page and select the audience tab and use the red drop-down menu to select “add list created by client.” Any client accounts you selected to share the lists in the prior steps should appear for you to click on and see all their available lists. – Select the lists you want to share and hit save. Now those lists can be shared with all clients you enabled to share. The list may take a few hours to become available in the new client account so be patient. How to monetize the list? Clients can choose to “rent” their lists to other clients or possibly just swap lists with businesses with similar types of audiences for greater exposure. Remember, you must have approval for sharing lists and make sure your website has any necessary legal disclosures regarding the use of personal information. Share responsibly! With more and more consumers searching on their smart phones for products and services, the need for mobile advertising is more important and valuable than ever for businesses. According to Google, 70% of mobile searchers call a business directly from search results. 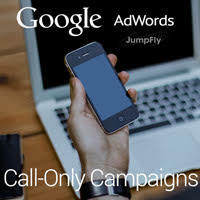 To address this, Google recently introduced a new campaign type called Call-Only Campaigns. This is exciting news for advertisers who rely heavily on driving calls to their business. Now with this new AdWords campaign type, consumers will see your ad text with your phone number, call button and business name on their mobile devices. Once a consumer clicks on your ad, they will only be able to call you and will not have the option of being directed to your website. One of the reasons that this new campaign type is so exciting has to do with the way you can now structure your mobile bids. Currently the only option to increase your mobile bids is to apply a mobile bid adjustment that uses your desktop bid as the baseline. For example, if you are currently bidding a $1 for the keyword “ppc advertiser” and have your mobile bid multiplier set to increase your bid by 100%, your max mobile bid CPC would then be $2. The potential issue with this type of bidding strategy is that if you need to raise your baseline bid, your mobile bid automatically increases and can quickly grow. With the new Call-Only Campaign you can now bid for calls based on your target CPA, ROAS or by applying a manual max CPC. You also now have the ability to set your max CPC bids at the keyword level instead of a mobile multiplier at the ad group level. It’s important when setting these bids to remember that you are now bidding based on how much a phone call is worth to you and not a click to your website.